Find a Juggler for hire near you in minutes! Option 1. Enter your event location below & contact a Juggler directly! Option 2. Request multiple quotes from available Jugglers Get Quotes! Option 3. Read information & advice on hiring Jugglers Read Advice! WANT TO KNOW MORE ABOUT jugglers? Read on for the most comprehensive guide to booking a Juggler, including how much a Juggler costs, exactly what they will do at your event, plus tips, advice and information to help make your event one to remember! Jugglers have been entertaining crowds for centuries, and for good reason! What exactly will a juggler do at your event? What can you expect from hiring a Juggler? When you book a Juggler for your event/party then you get so much more than you may initially envision! Modern day Jugglers can dazzle and entrance an audience by the pure boldness they convey with their contemporary circus show. The amount of random, absurd objects they throw into the mix is truly awe-inspiring and the heights and the speed in which they are thrown are absolutely breath-taking! Some of the juggling performers also incorporate other appliances such as unicycles and even more dangerous gadgets! It’s an often nerve-wrecking and thrilling display to witness. Mainly, a Juggler will entertain your audience with a fantastic live show that will put the wow factor into celebrations and impress your guests, whatever their entertainment tastes may be. What event types are jugglers hired for? Hire a Juggler for the drinks reception at your wedding! Your guests will be surprised, amused and astonished as they’re entertained by a professional Juggler throwing and catching the impossible! A Juggler can move around and entertain the guests in each of their groups or tables, inside or out. Looking to hire entertainment for your wedding breakfast? Look no further! A modern day Juggler is perfect for such as occasion and is something that little bit different which your friends and family will strongly admire. The ancient art of juggling has been used for centuries by royalty all over the world so this really is entertainment fit for a King! Looking for specialised entertainment at your wedding evening reception? A juggling act will wow and amaze your guests! Whether as part of a circus act or as a solo entertainer, a Juggler can bring the belly laughs and make you gasp in genuine amazement as they juggle multiple clubs, hoops, balls and obscure kitchen objects. 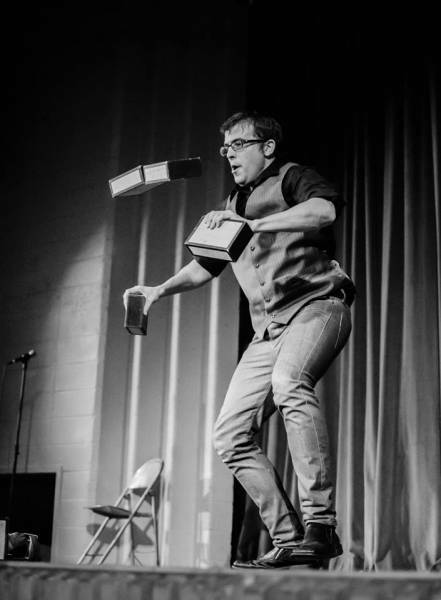 A modern day Juggler can make an event extra special and unique by incorporating audience participation, engrossing trickery and witty banter that, mixed together, makes for a compelling show! Also, watching an entertainer who has been trained to perform an actual skill such as juggling captivates the whole audience! The great thing about hiring a Juggler for a corporate event is that they can either be a main act on stage, with a fully rehearsed show, or they can simply move from table to table, entertaining as they go along. Maybe you want to hire a contemporary Juggler to be the icebreaker at your company’s annual bash? And who can blame you! Sometimes these business affairs can be a little be awkward so when a quality circus act is booked, it makes for great conversation and will really get the night into swing! Whether it’s for a product launch, a trade show, a gala dinner or as after dinner entertainment, a Juggler will perform with comic timing rarely seen! These shows can often be interactive as well, so when the Juggler requests the guy from finance to help catch a few objects, it will be the talk of the office the next day! What are the perfect events for a Juggler to perform at exactly? Well, it goes without saying that hiring a Juggler for a children’s birthday party is a fantastic and intriguing way to celebrate your child’s big day! Also, you may want to think about booking a contemporary juggling act as a charming way to boost an adults birthday celebration. It’s a fun addition to the usual birthday shenanigans and will add a breath of fresh air that your friends and family will no doubt love. One of the many great aspects of juggling is that you can hire varied types of Jugglers from a comedy based Juggler to extreme juggling. Whatever Juggler you hire, you can be sure that it will be artfully crafted wizardry! How much do JUGGLERS cost to hire? Have you ever thought about booking a Juggler for a school workshop? The pupils will be fascinated to see the ins and outs of how a juggling show is put together, and how to start juggling with your first props! Learning the initial steps to juggling can be a bonding experience for all of the students involved and can also help with confidence building. What are the usual set formats and performance lengths for JUGGLERS? Our simple to use entertainment directory allows you to firstly search for the best Jugglers who are local (or travel to your area) and then via the contact form you may contact them directly to enquire for a no obligation quote to perform at your event. Some acts will also add a rough price guide to their profile for your convenience. How much space will a JUGGLER need at your event? A Juggler can tailor their performance to times to suit you and your event, however, on average a professional Juggler will perform for 2/3 hours. What equipment and set up requirements do JUGGLERS need? Most professional Jugglers will be able to perform with both high celling and low celling venues. 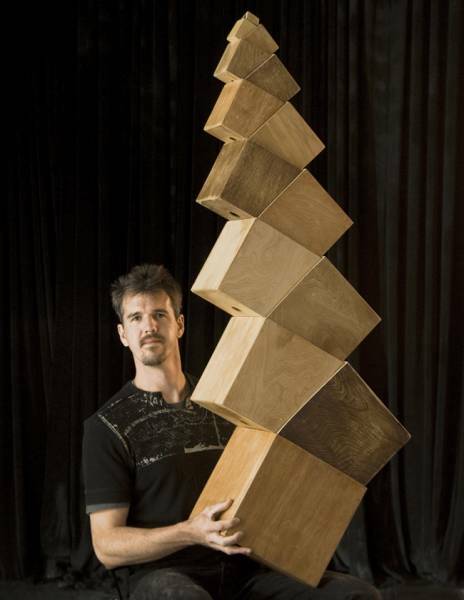 We advise giving a Juggler as much space as you can however, as the more space, the room to impress! 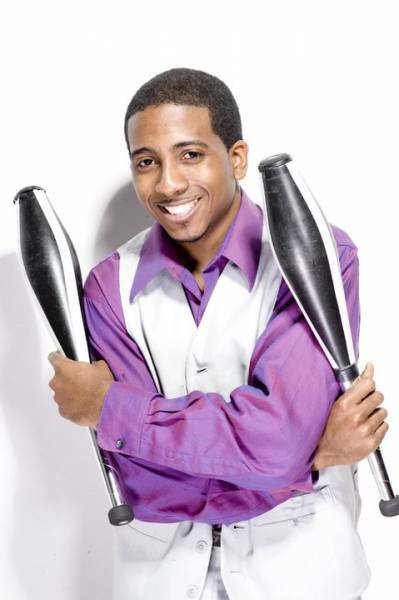 How can you find and book a JUGGLER with Entertainersworldwide.com? WANT TO RECEIVE A RANGE OF QUOTES FROM Jugglers?